I thought I would post my 75-99 slayer gainz on the forums so anybody who hasn't started slayer can see the benefits on doing so. 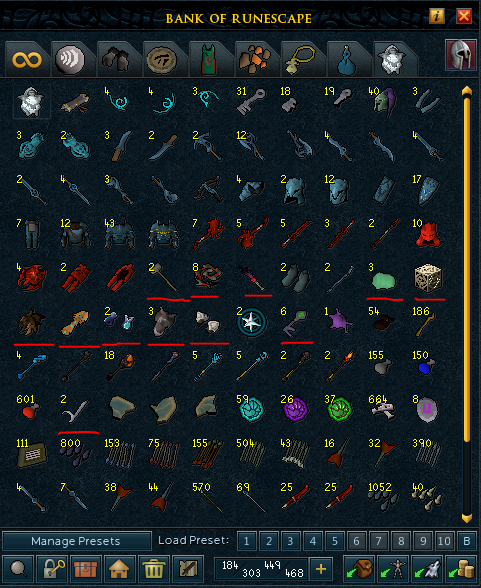 Anything underlined in red means both concentrated wealth or unique drops to monsters. I will be using all my crystal keys and triskelions and selling the contents in the final sale. Note: I have used excess runite, addy and coal to fund my invention gainz + weapon/armour perks (now level 78), springs, notepaper, armour upgrades and attuned ectoplasmator. Estimated cost of which would be around 40-50mil and will be added to total gain at the end of post. I would also mention I've used many combination potions, super restore flasks and much more which I am unable to calculate for... I complete all tasks using prayer and pots (Usually soul split + stat boost and overload on top) meaning much more cash will have been used ontop which I am unable to give an estimation for. Final loot from 75-99 slayer is approx above, ill be keeping the demonslayer gloves for abyssal demons and celestials for bossing. 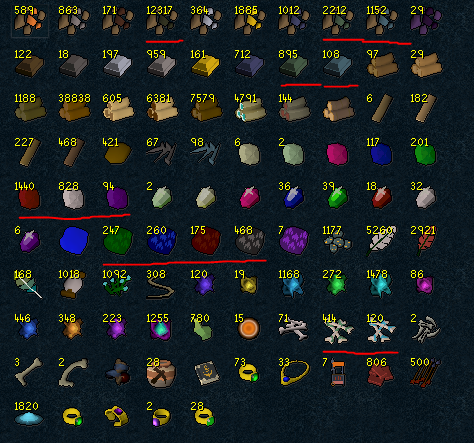 Alongside 60m I would include I spent between 40-50million on all supplies, invention etc as stated above. 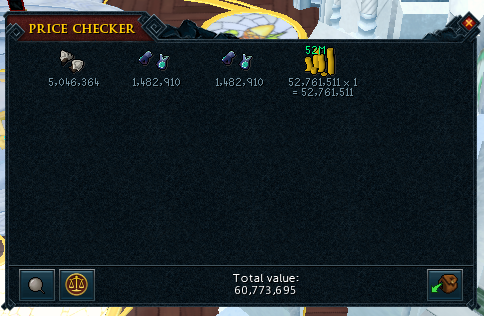 For a mear 10million slayer xp, that's not bad loot and I wouldn't particularly say I was very lucky, no good drops from reaper tasks, no large amounts of drops from normal slayer tasks as well. Would 100% recommend doing slayer for anybody who hasn't started yet. Very nice Thanks for the post, and the info. Kudos for keeping everything. I can't ever bring myself to do that. it only gets better once you pass 99. Good luck!